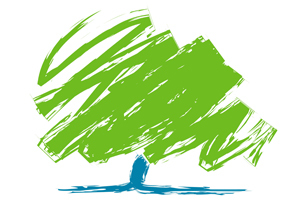 The Conservative Party is looking to appoint an events agency to handle its annual conferences and forums from 2011. Tenders will be sent to selected agencies in January and February and the Party hopes to confirm the appointment by April. The Conservatives have been working with Fingerprint Events for the past four years but that contract is due to expire in November, after the 2010 annual conference in Birmingham. Fingerprint Events is one of six agencies currently invited to pitch but Party officials expect that number to increase to double figures following the interest generated by today's announcement. The winning agency's first live event will be the 2011 spring forum, to be held across two days in Brighton. The open-market tender, part of the Conservative Party's ongoing procurement programme, will cover all aspects of the outsourced service, from liaison with city venues and police forces through accreditation, exhibition sales, corporate and delegate marketing, hotel sales and day-to-day management on the ground. Conservative Party commercial director Scott Seaman-Digby said: "We appointed Fingerprint Events four years ago and the launch of this tender is just because that circle has come around again. It is no reflection on the excellent work of Fingerprint and they will be involved in the pitch. "It is a big contract, not necessarily in terms of money but in terms of the name. The Conservative Party is instantly recognisable and we are expecting a lot of interest from agencies. It's exciting. "The conferences are a critical part of our commercial income-stream and we hope that, by getting the best providers across the market involved in the tender process, we will be able to assess the services offered and the opportunities presented for further enhancing and developing our events in the future."